What Is A Safe Weekly Running Progression? Running remains one of the most popular forms of aerobic exercise due to its’ effectiveness and minimal equipment costs and entry fees. The majority of runners will sustain a running related injury at some point in their careers limiting their ability to train or compete. Training errors, increases in a runner’s volume (frequency, duration, terrain, intensity) too quickly over time, often contribute to the development of an overuse injury. Increasing running volume without adequate recovery prevents body tissues from positively adapting to the stress of exercise. A recent study documents what percentage increases in running volume are most associated with injury. Damsted and colleagues in the Journal of Sports Physical Therapy studied 261 healthy runners over a 14 week period as they trained for an upcoming 1/2 marathon race (2018). 22% of the runners sustained a running related injury over the 14 week study period. Authors examined participants’ running volume increases and found those who increased their running volume > 20% per week sustained significantly more injures than those increasing their volume < 20% per week. Is running volume or intensity more to blame for injury? Running injuries remain a common problem for the vast majority of runners. Many of these athletes report a loss of training days or competition due to a current or previous injury. Contributing factors include muscle weakness, decreased mobility, and training errors. Progressing training volumes (frequency, intensity, duration, terrain) too quickly prevent the tissues from properly adapting to the stresses of exercise. A recent study examined if training intensity or training volume is more to blame for running related injuries. A randomized controlled trial in the Journal of Orthopedic and Sports Physical Therapy was conducted to determine the impact of running intensity and running volume progression on future injury rates (Ramskov et al. 2018). 447 runners were randomized to one of two 16 week training programs after a combined 8 week preconditioning program. The first group focused on intensity with runners training at > 88% of their VO2max. The second group focused on running volume with progressive increases in training volume each week. The authors reported 80 runners sustained an injury which kept them from completing the prescribed training sessions, but the authors found no difference in injury risk between the two groups. Strength training in endurance athletes is an essential part of any injury prevention and conditioning program. Our previous blogs have highlighted the importance of these exercises for improving an athlete's efficiency during training and competition. Endurance athletes who strength train are more economical and therefore faster than their weaker peers. Strength training exercises should involve the core and key muscles associated with each sport. Runners should spend time focusing on their core and hip muscles, as well as, the muscles surrounding the knee, foot, and ankle. A new study highlights the importance of this training for improving running performance. Clark and colleagues in the Journal of Strength and Conditioning Research followed 35 cross country athletes' running performances over the course of a season (2017). The runners were randomized to either a control (normal run training) or a strength group who performed core and hip strengthening 3 times a week for 6 weeks in addition to their run training. Both groups showed faster times over the 6 week period, but as expected the strength group demonstrated faster running times compared to their peers who did not implement strength exercises. 1. What initially brought you into the sport of running? At the age of 10 when I was living in England I ran a school 800m race on a grass track and won. That included beating all of the boys. I was hooked after that! 2. What were some of your career highlights in endurance sports? 12th place in the Olympic 10000m final in Athens, 2004 after winning the British Trials to make the team. I have competed in 21 IAAF World Championships in Track and Field, Cross Country and Road Running including a 4th, 11th, and 12th place individual finishes and a team bronze at the World Cross Country Championships. European Cup Champion in the 3000m in 2001. 3. What influenced your decision to begin coaching running athletes? When I was at the University of Wisconsin the coaching staff used to call me Mamma But as I tried to take care of and help the other athletes on the team. My coach Peter Tegen encouraged me to pursue coaching and it was a good balance to my degree in Exercise Physiology. I was a volunteer coach at Wisconsin and Stanford while I was still competing as a professional athlete. That experience plus my experience as an athlete gave me the knowledge and desire to help more athletes. After Stanford I coached at Nederland High School where we won 12 State Championships both individual and team. I continued to work on my coaching education getting the highest credentials, IAAF Academy Level and USATF Level 3 as I like having as much knowledge as possible to complement my experience. 4. Do you have a favorite type of athlete to coach? My favorite athlete is a committed athlete. Everyone comes to me with different goals and motivation but as long as they are committed and want to work together to reach their goals then I enjoy working with them. I find that the ‘high maintenance’ athlete is not a negative but a positive as they are detail oriented, give me lots of feedback and really want to perform to the best of their ability. 5. There are multiple coaching services here in Boulder. What separates your coaching services from others in the market? My attention to the individual’s needs, athletic background, current fitness, current life stressors is something I take great pride in with my coaching. Of course, everyone knows you have to train hard to run well but this can look very different from one person to another. I have no cookie cutter plans, in fact everything is done on a weekly basis with a long range plans as the background. I’m often shifting things slightly to accommodate the individual. With my in person athletes that may even be based on something I see in the warmup or part way through the workout. 6. How important is strength training within your athletes' training programs each week? All of my athletes receive some form of strength program with their training. I think it is very important both from an injury prevention point of view and from a performance perspective. I have videos online and long lists of dynamic drills, strength exercises and mobility/balance exercises that are included at various times in training. With my Boulder Track Club Development Team we’ve taken this one step further and they meet with Kevin Purvis twice a week for strength and mobility work on top of the other things they are doing. 7. Do you have a favorite running workout? As an athlete my favorite workouts were the peaking ones. They’re always really hard but when you’re ready for them they give you an huge amount of confidence. For example, 3 x 800m at 1500m race pace for a 1500m OR 2000m, 1000m, 1000m all out for 5000m or 10000m races. As a coach I still like these workouts but they don’t get used very often. Another favorite for marathon training is the long fartlek where you run at close to marathon pace but with pickups during the run to spice things up. I could talk training and favorite workouts for particular distances or events for hours! 8. If you could make one change to the sport of running what would it be? I’m going to put 2 changes… 1. As a 100% clean athlete in an ideal world I would like to see a day of reckoning for all previous performances and then moving forward for the sport to be completely clean. 2. 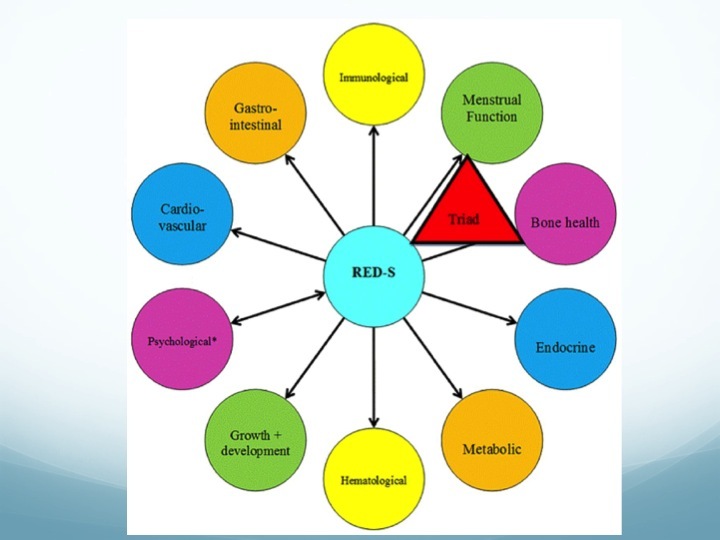 I would like to see more emphasis on education about RED-s (Relative Energy Deficiency in Sport) which incorporates the female athlete triad but involves a more complex picture of overtraining, compromised immune systems, endocrine and many other factors that can be used to be aware of athletes both men and women who are at risk for health problems and performance reductions. 1. Can you tell us a little bit about what got you into triathlon? I grew up as a swimmer and then switched to cross country running in high school and college. At the time, I had friends who were doing triathlons and always thought that if I could get my hands on a bike, it would be fun to try one. While living abroad in Costa Rica after college, I finally bought my first bike – a mountain bike and did my first triathlon there after a few years of endurance mountain bike racing. It was an absolute blast and I ended up placing first female by a decisive margin. I was hooked. 2. Were you competitive in other sports? Yes, I grew up playing every sport possible – soft ball, soccer, field hockey, lacrosse, swimming. 3. What are some of your career highlights in endurance sports? In 2015, my last year as an age group athlete, I came in 5th at the Ironman World Championship in Kona and 3rd at the Xterra World Championship in Maui two weeks later. I won the Outrigger Double Award for the second year in a row for the fastest combined time at Ironman and Xterra World Championships. What was particularly memorable about this accomplishment is that I actually fell and crashed on the mountain bike midway through the Xterra race and broke my collarbone. Determined to finish the race if I could, and defend my title, I got back on the bike. I finished the technical mountain bike course and then was able to overtake some of my competitors on the run to place third. Standing on the podium with a sling on my arm was my proudest moment to date in endurance sports, as I knew I had given it everything in that race. 4. What brought you to Boulder for training? In 2015 I had my sights set on trying to obtain a pro card in Xterra off-road triathlons. I had heard about what a great place Boulder was for training due to the altitude, ample roads, trails, and mountains for running and biking, as well as sports injury specialists and support facilities like MEND, and of course, the number of elite athletes and training groups. I convinced the firm I worked for to let me work remotely, and came out to Boulder for eight months to try the lifestyle. 5. Tell us a little bit about your training philosophy, especially in relation to staying healthy and injury free. I’m finding that the training itself is just one slice of the pie and in order to support the elite athlete lifestyle and heavy training, you need to put as much emphasis on nutrition, recovery, and injury prevention, otherwise the training cannot happen. 6. What's your favorite recovery food? Sweet potatoes and Healthy Skoop protein powder. I eat sweet potatoes pre workout, during training for fueling, and for post workout recovery – I love them! I’ve been switching over to a vegan diet and have found that Healthy Skoop plant based protein powder has been amazing for ensuring I’m getting enough protein in and I love the taste. 7. How important are the small things, like stretching, weight-lifting? I’m finding this year that all of the small things – sleep, nutrition, recovery, stretching, pre workout muscle activation, strength training, massage, PT, etc. make the difference between just getting the workouts in (and constantly battling oncoming injuries), and nailing every training session consistently and making huge fitness gains as a result. 8. What role does Physical Therapy play in your training? Physical Therapy is a critical piece of the recovery puzzle. Whenever I feel that my body is taking a hit from the intense training load, I know that I need to get PT work done in order to keep training going and prevent a full blown injury from happening. 9. How many workouts a week are you doing? On average, I have 2-3 workouts a day and about 16 workouts a week. It’s a very high training load. 10. If you could be successful at any other sport, what would it be and why? I think I might be good at Ultra running. I’d love to give it a try! I know so many amazing runners in Boulder and am so inspired by the mileage they put in! 11. What's the hardest decision you've ever made? Leaving a successful career in marketing for a financial services firm on the east coast to turn professional as a triathlete and move to Boulder. It has been a bumpy and incredibly difficult transition, but I am happy to be pursuing my dream. I know that this is what I’m meant to do. 12. Who makes you laugh more than anyone? My coach, Michael Lovato. He has a great sense of humor which is so appreciated when we are jumping in the pool at 5:45am for swim practice. I wouldn’t be able to endure such a tough lifestyle without his great coaching support and the camaraderie of my Lovato Performance teammates. 13. What are some of your competitive goals for 2017 and 2018? This year, my goal has been to place on the podium in Ironman races and so far I’ve been quite lucky to do so with 6th place at Ironman 70.3 Puerto Rico and 5th place at Ironman 70.3 Peru. I’m finding that nailing the nutrition, injury prevention, and recovery is making the difference. I hope to keep climbing the podium steps in the pro field!